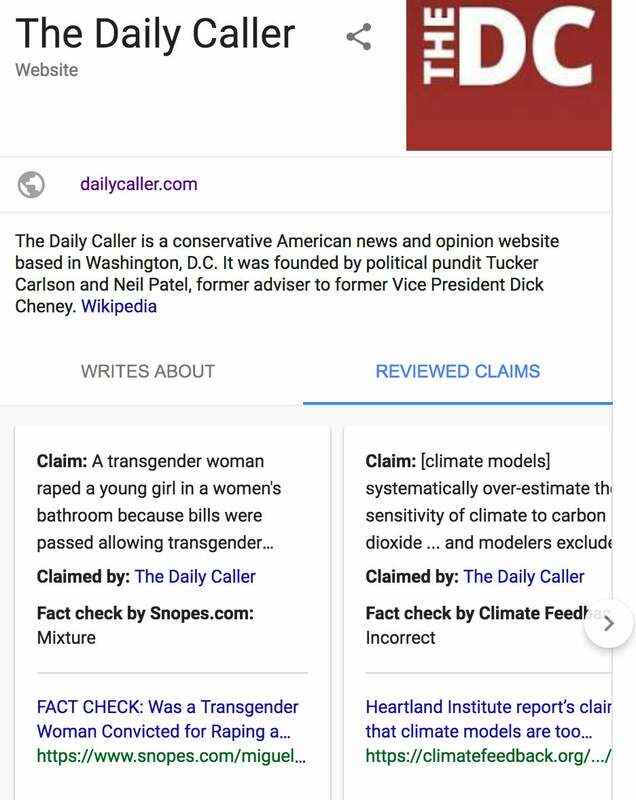 Google, the most powerful search engine in the world, is now displaying fact checks for conservative publications in its results. No prominent liberal site receives the same treatment. And not only is Google’s fact-checking highly partisan — perhaps reflecting the sentiments of its leaders — it is also blatantly wrong, asserting sites made “claims” they demonstrably never made. In fact, a review of mainstream outlets, as well as other outlets associated with liberal and conservative audiences, shows that only the conservative sites feature the highly misleading, subjective analysis. Several conservative-leaning outlets like TheDC are “vetted,” while equally partisan sites like Vox, ThinkProgress, Slate, The Huffington Post, Daily Kos, Salon, Vice and Mother Jones are spared. Occupy Democrats is apparently the only popular content provider from that end of the political spectrum with a fact-checking section. The Robert Mueller fact check (pictured above) is a case in point for Google’s new feature. Ostensibly trying to sum up the crux of the post, the third-party “fact-checking” organization says the “claim” in a DC article that special Counsel Robert Mueller is hiring people that “are all Hillary Clinton supporters” is misleading, if not false. The problem is that TheDC’s article makes no such claim. Their cited language doesn’t even appear in the article. Worse yet, there was no language trying to make it seem that the investigation into the Trump administration and Russia is entirely comprised of Clinton donors. The story simply contained the news: Mueller hired a Hillary Clinton donor to aid the investigation into President Donald Trump. Still, the Washington Post gave the claim, which came from Trump himself, its official “Three Pinocchios” rating. The method applies to several other checks. Claims concocted or adulterated by someone outside the TheDC are attributed to TheDC, in what appears to be a feature that only applies to conservative sites. Examples of such misattribution and misrepresentation are aplenty. 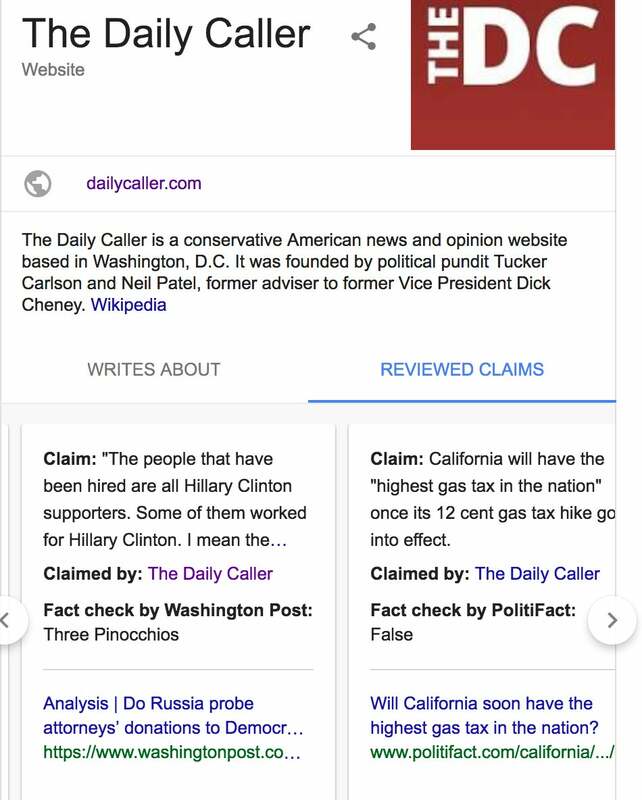 For instance, using Snopes.com, an organization with highly dubious fact-checking capabilities, Google’s platform shows an article by TheDC to have a so-called “mixture” of truth. 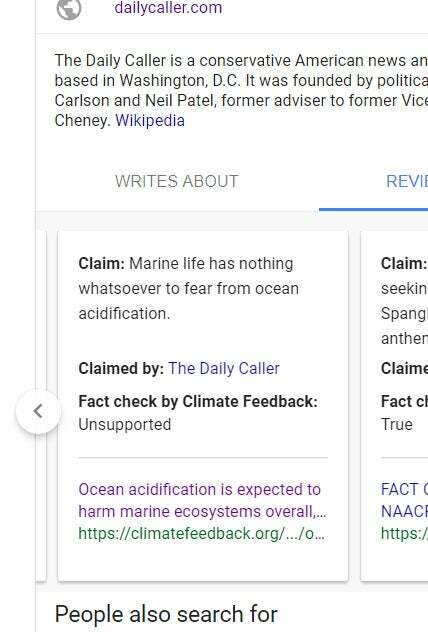 And like Snopes, another one of Google’s fact-checking partners, Climate Feedback, is not usually regarded as objective. 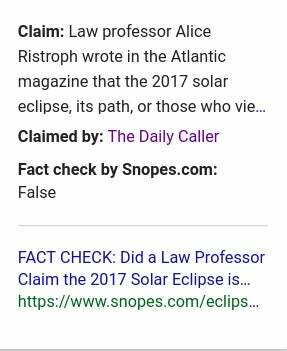 Snopes and Google also decided to “fact-check” an obviously tongue-in-cheek article in which a writer for TheDC pokes fun at a professor saying the solar eclipse in 2017 was naturally racist. Even Vox pointed out the absurdity of the educator’s literary tirade on Mother Nature’s purported racial prejudice, and the damage it might have done to real arguments of apparent racism. While Snopes got some flak for its choice, no one seems to have noticed the absurdity of the world’s go-to search engine providing fact-checks to purposefully irreverent content, rather than hard news stories. 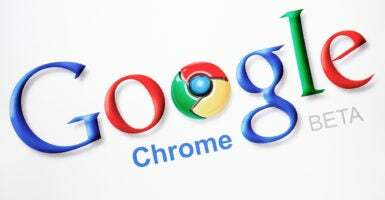 Google acknowledged it received an inquiry from TheDCNF, but did not fully respond in time of publication. Eric Lieberman is a reporter for the Daily Caller News Foundation.